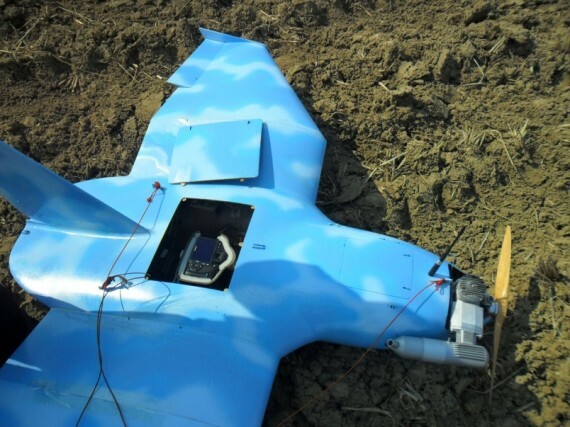 More photos have emerged of the Chinese Sky-09P drone that appears similar to at least one of the drones that was discovered crashed in South Korea. The new photos provide a clearer view of the underside of the drone and the slingshot launching system. The photos are published on the website of China Trancomm Technologies, a Beijing-based company that appears to sell the Sky-09P and two other variants, the Sky-09 and Sky-09H, and other drones. 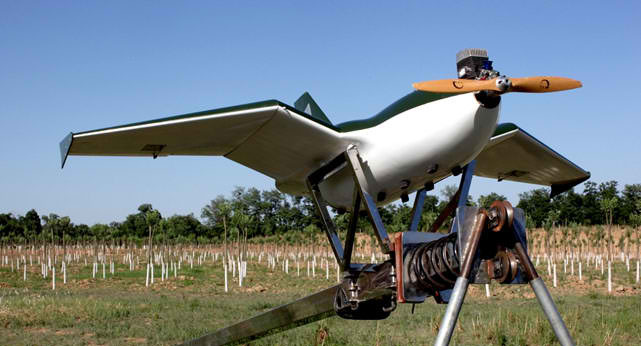 As can be seen in the photo below, the drone has a series of what appear to be rubber pads on its base and it rests on a launching frame at points close to the beginning of the wing. 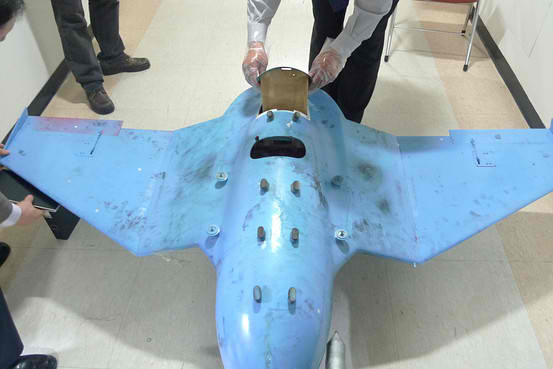 In this picture of the bottom of the drone found in South Korea, similar pads can be seen and there are two additional pads on each side of the body, close to where the drone would appear to sit on the launching frame. On the China TranComm image, there are a couple of dark areas towards the end of each wing and the silhouette of what appears to be a control cable. 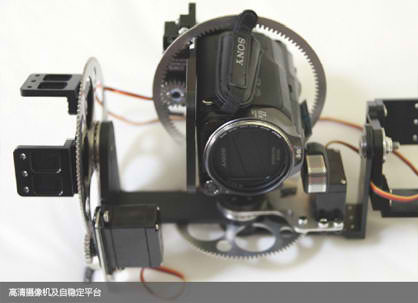 On the South Korean image, something similar to the control cable can be seen. While the area isn’t painted in black, the outline of a rectangular area of the wing can also be seen. 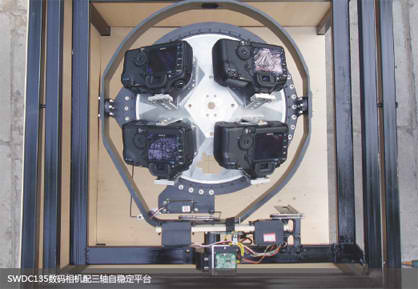 The China TranComm Technologies site also shows various camera mounting systems that are available for the drones. They include one for a small video camera, a digital SLR and four digital SLRs that appear to be arranged to allow for 3D photography. 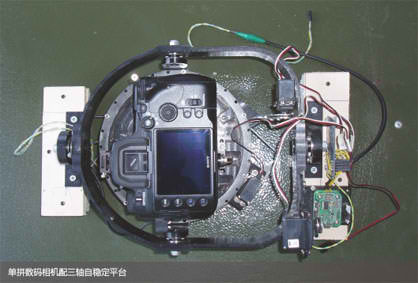 The drone found in South Korea was fitted with a digital SLR camera, although the image released by the South Korean Ministry of Defense doesn’t include enough detail to determine how similar it is. 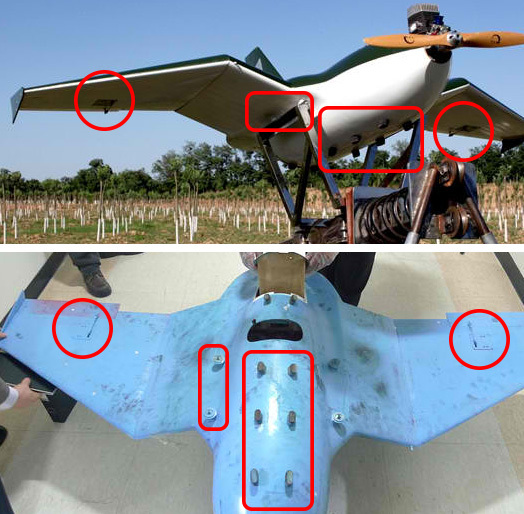 The images add further support to the theory that the drone found in South Korea is either a Sky-09P or a North Korean variant based on the same design. 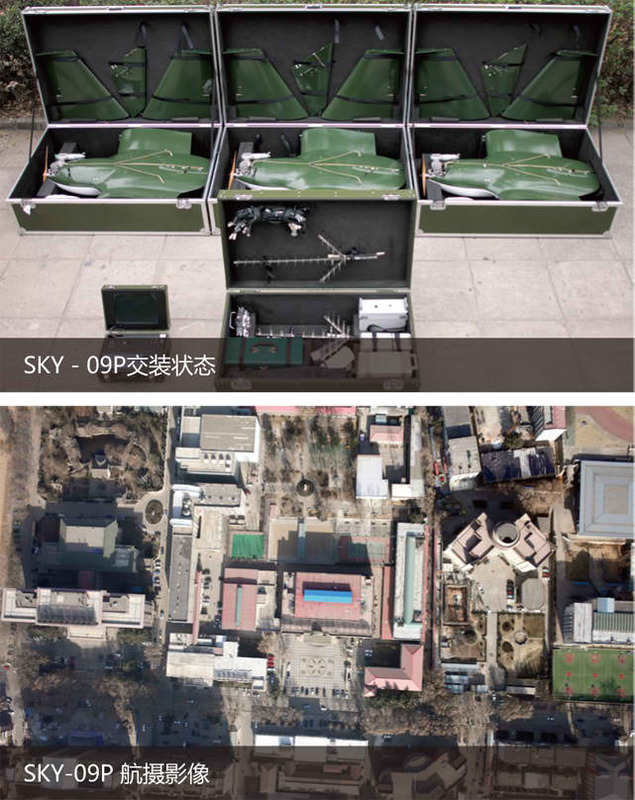 Here’s an image of several models of the Sky-09P in packing cases and the control system. There’s also a sample image taken from the drone, although the quality of the image will depend on the camera in use and not the drone. The company sells a related drone, the Sky-09H, that can fly at up to 6,000 meters (20,000 feet) versus the Sky-09P, which is specified up to 4,000 meters (13,000 feet). A picture of the Sky-09H isn’t as detailed, but it appears to be largely similar. 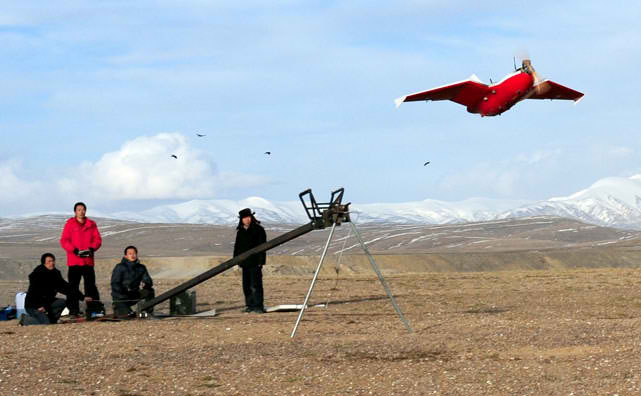 North Korea’s drones: Made in China?